A chef may prepare hash browns by forming diced potatoes into patties before frying (moisture and potato starch can hold them together), however, if a binding agent is added (egg for example), such a preparation constitutes a potato pancake. Frozen hash browns are sometimes made into patty form for ease of handling, the compact flat shape can also be cooked in a toaster oven or toaster. A variation to the shredded or riced potatoes is sliced potato version of the hash brown often called “American Fries” or "American Hash Browns", they can be pan fried potatoes or deep fried. Usually they are about three times as thick as that of the modern day potato chip. Often they are pressed with a potato ricer to remove moisture and to give a crisper texture. Nigel Slater, a popular British chef, recommends using duck fat to cook them. Originally, the full name was 'hashed brown potatoes' (or 'hashed browned potatoes'), of which the first known mention is by food author Maria Parloa (1843–1909) in 1888. The name was gradually shortened to 'hash brown potatoes' until the most common name had become simply 'hash browns' around 1970 (although the shortened name was used in media as early as 1959, by the main character in the pilot episode of The Twilight Zone). Some claim that hash browns may have developed out of rösti, the Swiss farmer's breakfast dish. If a dish of hash browned potatoes incorporates corned beef, chopped meat, leftovers, or other vegetables it is more commonly referred to as hash or bubble and squeak, a dish that became popular in war time Britain. This such a simple, affordable breakfast. In skillet, over medium heat. Add ground pork sausage, cook until no longer pink. Add onions, salt and pepper, stirring, cook for 3 minutes. Transfer sausage mix to hash browns, stir well. Sprinkle cheese. Serve and enjoy! the recipe looks wonderful!! !never tried ready made hash browns before !!! a must try !!!!! Ooh, these look tasty! And you're right--definitely a quick breakfast to put together. hash browns are one of our favorite things to eat for breakfast! 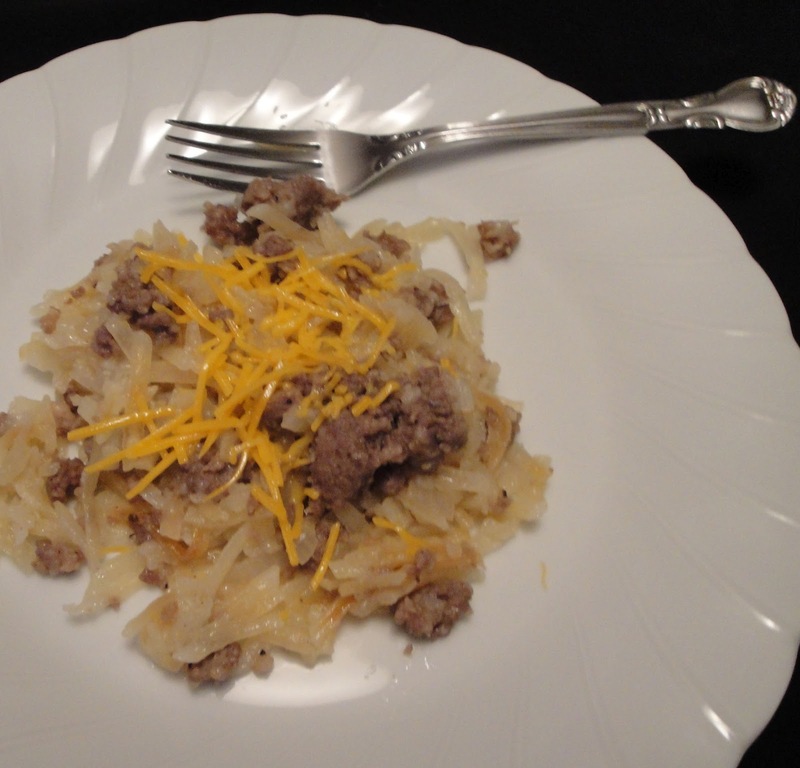 We love hash-browns in this house, looks great Christine! Thanks for the detailed directions! I always screw up the first step! This hashed brown look good. Love hash browns. My dad ate them all the time. This could becbreakfast lunch or dinner. Christine, I should have gone to bed after reading your last post -- now I'm hungry for breakfast. :) I can't imagine how good hash browns would taste fried in duck fat. But I'll take "topped with cheese" any day!